I’m pretty sure I’ve heard somewhere that bacon most often serves as the “gateway meat” for converting vegetarians… regardless, all pork products are delicious and fantastic. 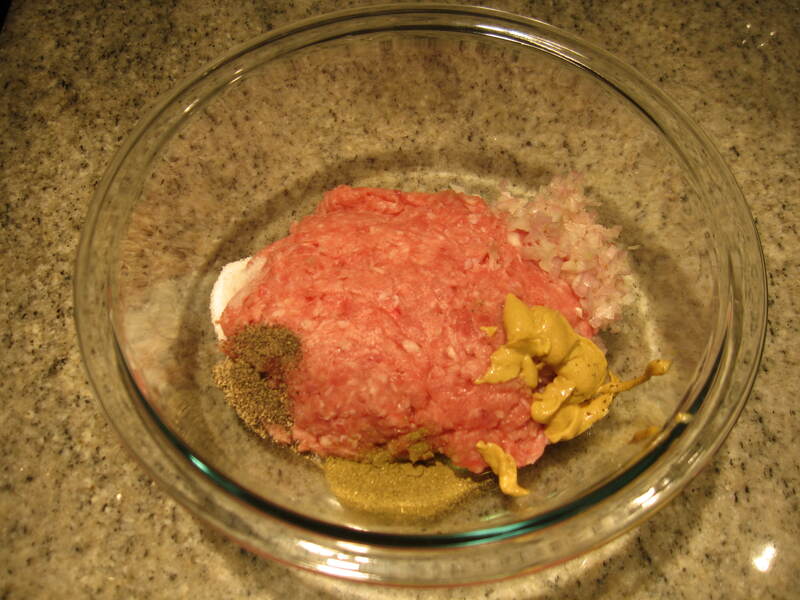 Form the mixture into patties – about ¼ inch thick (half of the recipe made 6 patties) and cook in a frying pan over medium-high heat for about 8 minutes, turning over once, until cooked through and browned. 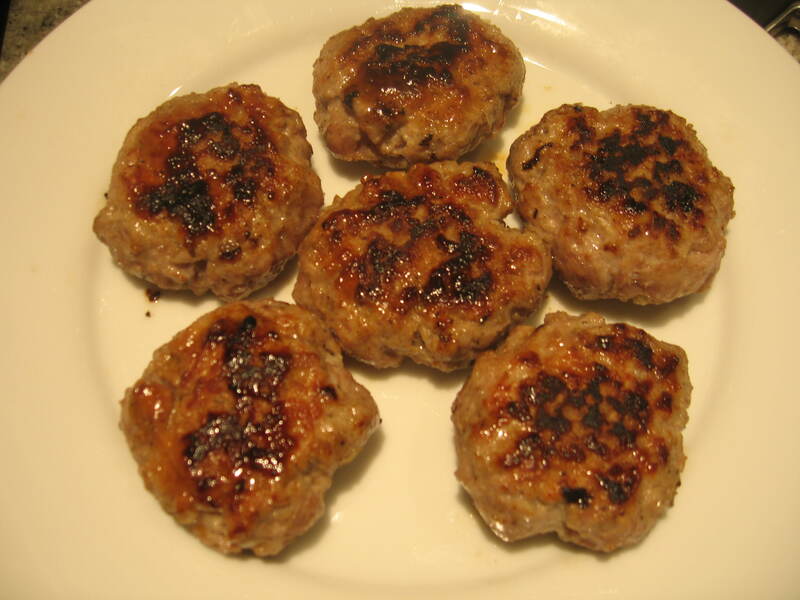 These are SO flavorful and so easy to make – I’ll never buy pre-made or frozen sausage patties again. They pair perfectly with a cup of coffee and a homemade pain au chocolat (my Saturday was devoted to croissant-making at the French Culinary Institute, let me tell you, $3 for a croissant is a STEAL, I feel like I’ve been hit by a truck from the hours spent rolling out dough and pounding butter). This entry was posted in Pork and tagged 5 Ingredient Fix, breakfast, Claire Robinson, frying pan, maple syrup, pork, sage, sausage. Bookmark the permalink. I’ll be giving these a try once I’m no longer full from my own pork feast last night. I love a good breakfast sausage!